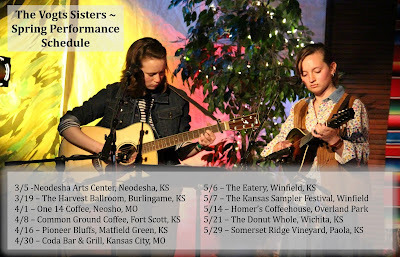 Here are the Spring Performance Dates for our daughters, The Vogts Sisters. We hope you'll be able to join us for a few of their performances! Learn more about their music HERE.